With an impressive career spanning over three decades, David Ryan Harris prides himself on his soulfulness. He may be known to some as John Mayer’s guitarist, but the gifted singer, songwriter, and multi-instrumentalist truly stands out on his own. 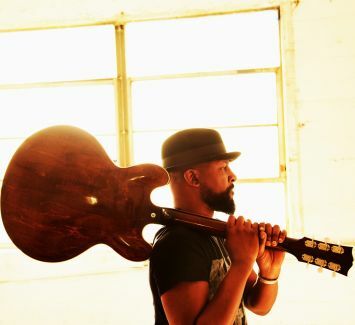 He’s carried this same spirit while performing with the likes of John Mayer, Dave Matthews, and Santana or producing for Cassandra Wilson and Guy Sebastian—with whom he co-wrote the RIAA platinum-certified “Battle Scars”. Most recently, it drove 2015’s Lightyears, which boasted guest spots from John Mayer, India.Arie, and Nikka Costa. He received acclaim from All Music Guide, Glide Magazine, Elmore Magazine, Performer Magazine, AXS, Relix Magazine, andmany others in addition to performing on Fox, CBS, and The CWin between packed tours. His next chapter unfolds on his 2017 seventh offering Songs For Other People. Between returning to the road on guitar duty for John Mayer in 2017, Harris will be performing across North America on solo shows.